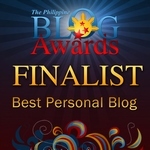 MICAMYX » Personal Blog of a Dagupena Dreamer » Archive » SEAIR Increases Flights to Caticlan! Two months ago, I went to Boracay with my grandparents and high school bestfriend. We got the chance to try a lot of activities like Snorkling and Reef Walking among others. Thanks to SEAIR for the round trip ticket to Manila and Caticlan. 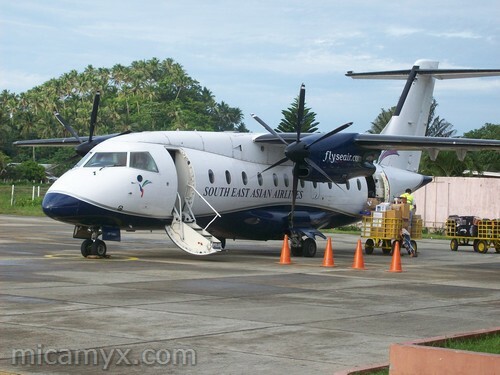 Southeast Asian Airlines, the countryâ€™s premiere leisure airline, in response to increased demand, will be increasing flights to Caticlan to up to 32 flights per day. SEAIR presently has up to 18 flights a day to Caticlan, then stepping to up to 27 flights a day on August 14, and then to up to 32 flights a day on October 15 and onwards. This is in line with SEAIRâ€™s mission of helping the Philippinesâ€™ tourism development, especially tourism to the island of Boracay. SEAIR has been serving this route since 1995 and has the longest history of uninterrupted service to Boracay direct via Caticlan. SEAIRâ€™s fleet of DO328â€™s and LET410â€™s have proven very good performance in short runways. â€œOur aircraft, the Dornier 328 and LET L-4110, are both capable of Short Take-Off and Landing (STOL). They are aerodynamically designed in a way that it is capable of landing and taking off in about 750 meters with full pay load. These aircraft are the most appropriate for small runways where bigger commercial airplanes cannot land,â€ said Avelino Zapanta, SEAIR president. 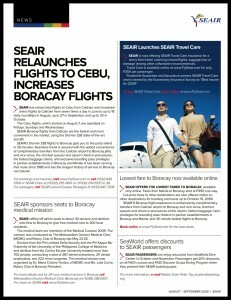 The Boracay experience is further enhanced with the SEAIR special service advantages for Caticlan-bound passengers. Travelers enjoy complimentary transfers from the Caticlan airport to BoracayÂ and vice versa, the shortest queues and airport check-in procedures, the fastest baggage claims, and exclusive boarding pass privileges in partner establishments in Boracay and Manila. SEAIR offers the fastest flights to Boracay at just 35 minutes. 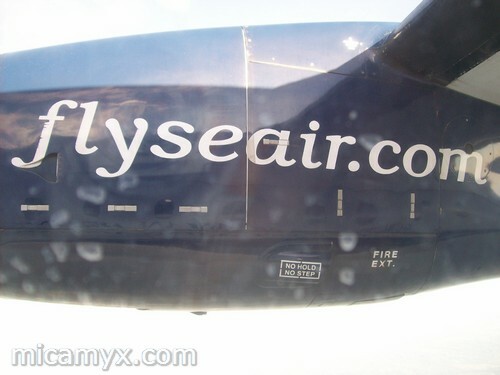 3 Comments to SEAIR Increases Flights to Caticlan!